Namibia’s National Carrier, Air Namibia, has regular direct flights from Frankfurt to Windhoek International Airport, which is 45 minutes drive from the Hunters Namibia Safari Main Lodge. South African Airways offers daily service from New York/JFK and Washington/Dulles and Delta offers daily flights out of Atlanta to Johannesburg. S.A.A. 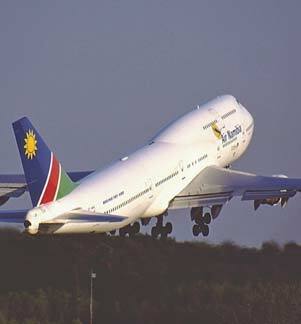 and Air Namibia have daily (2 hour) flights from Johannesburg to Windhoek International. Namibian law requires that your passport be valid for a period of at least 6 months from the date of your arrival in Namibia. Citizens of the United States of America as well as E.U. member countries (except Greece) do not require visas to visit Namibia. Namibia, the land of vast savannahs and shifting sands, is a peaceful, prosperous and politically stable nation on the south-western coast of Africa, ready to be explored, hunted and photographed by you and your family. 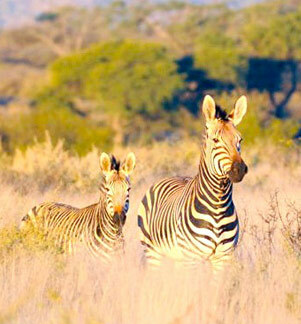 We have an abundance of wildlife and some of the world’s most dramatic vistas. Although famous for breath-taking arid landscapes, our country has vast savannahs teeming with wild game, wide rivers as well as deserts – a diversity of habitats, which will assure that you realize all of your African dreams. Namibia was named Deutches Südwestafrika during the German colonial rule and then South West Africa during the British and South African eras. 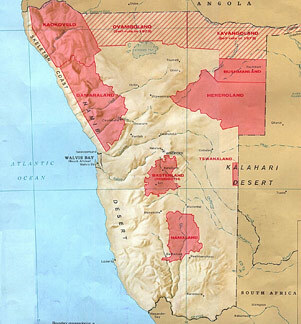 Those who opposed foreign rule preferred the word €˜Namibia,’ from a Nama/Damara word meaning “shield” used for the coastal desert, the Namib, which long protected the interior from access by sea. As a people we are proud of our young national identity – we have been an independent and free nation SINCE 1990, and take our fledgling democracy seriously. 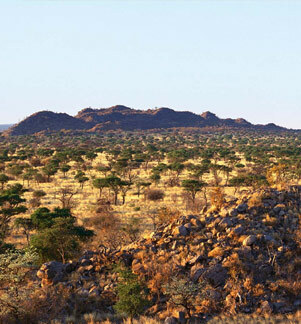 About 2.2 million people share the vast spaces of Namibia – one of the lowest population densities in the world. Our population can be divided into (at least) 11 ethnic groups. Although our official language is English, Namibians speak nine different tongues, including some of the Khoisan languages, which include the ‘clicks’ that present an enigma to most native English-speakers. Each one of the country’s cultural groups has its own rich heritage and traditions. However, due to the unfortunate apartheid history of Namibia (during SA rule), the division of people into cultural or tribal groups became an extremely sensitive issue, and we prefer to think of ourselves as Namibians – our hearts and souls are Namibian, and that is what truly matters. The Namibian government and population are supportive of trophy hunting, as it has proved to be the single greatest conservation tool in our country – the sustainable utilization of our natural living resources in enshrined in our country’s national Constitution. Our country has a very proud hunting and conservation heritage, which the Hunters Namibia Safaris’ team looks forward to sharing with you! Currently no special health requirements are prescribed for entry into Namibia. Malaria is not a threat in Hunters Namibia Safaris’ hunting area, and due to our dry climate, the environment is clean, healthy and relatively insect free. We do, however, suggest that you refer to your personal physician for advice on prophylactics and insect repellents. 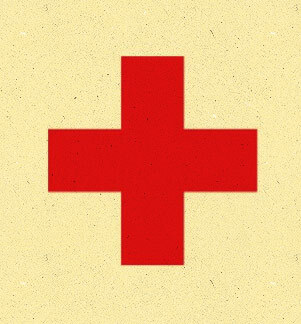 A comprehensive range of international brand name medicine is stocked in camp and on the hunting vehicles, but it is advised that you bring along the types of medication that you regularly take, or may require. A well-equipped, professionally run government clinic is situated 15 minutes from the lodge. Medical facilities, including excellent private hospitals and internationally trained medical practitioners, specialists and surgeons, are available in Windhoek, which is a one-hour drive from the camp. In case of extreme medical emergency an airlift service is available. Our PHs and hunting assistants are all qualified in First Aid. Clients’ trophies are usually delivered to the shipping agent 30 days after the completion of the safari, and should therefore reach their destination within 6 weeks of that date. The cost of taxidermy work in Namibia is affordable, the quality of the workmanship is excellent. There is very little difference in the weight, and therefore the cost of shipping raw or mounted trophies. The current completion time for mounts is about 12 months. We would gladly obtain quotations for you from our personal local taxidermist. The well-trained and very professional Hunters Namibia Safaris’ skinning team will attend to the field preparation (skinning and capeing, cleaning, salting and drying) of your trophies. We then deliver them to either our local freight agent, based in Windhoek, for dipping and packing, after which they will be shipped to either your taxidermist or your address, or to a Namibian taxidermist – whichever you prefer.